Holiday obligations can certainly keep a person busy. 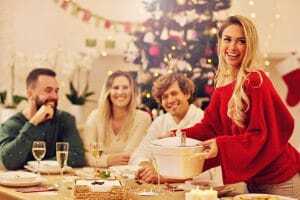 Sure, many of those obligations are full of friends, family, and fun, but it is worth acknowledging that it can feel difficult to add much to your schedule this time of year. What you might not realize is that you can fit in professional cosmetic dental improvements with relative ease, thanks to the take-home whitening kit offered by your Austin, TX dentist. With a take-home whitening kit, you can address difficult stains that store bought products leave behind, and make big changes to the brightness of your smile. By the end of your daily treatments, you can be amazed at how much better your teeth look! When you have a take-home whitening kit, you can use professional bleaching agents to take care of discoloration that over the counter products are not equipped to remove. To follow through the treatment, you simply find time during your day where you can wear your custom whitening trays for the recommended time. These trays are made to fit your specific smile, so that you can apply the bleaching agents with confidence. Want To Show Off A Better, Brighter Smile In 2019? Talk To Your Dentist About Cosmetic Treatment! By exploring your cosmetic dental treatment options, you can find your path to a better and brighter smile for the new year! Are you tired of staring at that one misshapen tooth that makes your smile feel uneven? Are you bothered by signs of poor alignment, or dental damage? Your dentist can evaluate your needs, and recommend a treatment that is sure to offer impressive changes. You can fix alignment problems discreetly by using ClearCorrect aligners, or cover a range of flaws through the placement of porcelain veneers. Austin General Dentistry Can Help You Make Your Smile Better And Brighter! At Austin General Dentistry, you can look forward to great cosmetic results through the use of a take-home whitening kit! This kit includes custom whitening trays, and the kind of whitening agents that can surpass the effects of a whitening treatment you can find at your local grocery store or pharmacy. To schedule a consultation, please call Austin General Dentistry in Austin, TX, today at 512-346-5540.